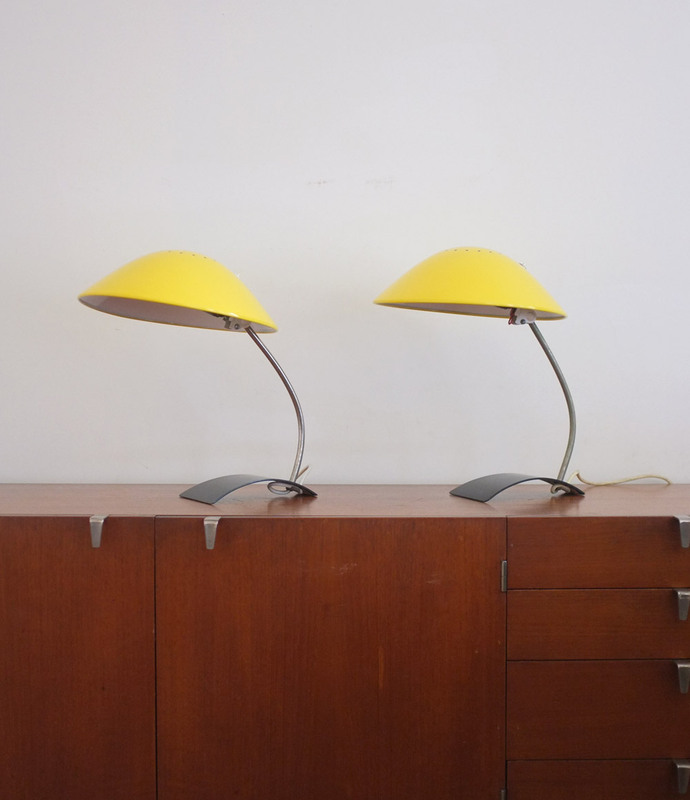 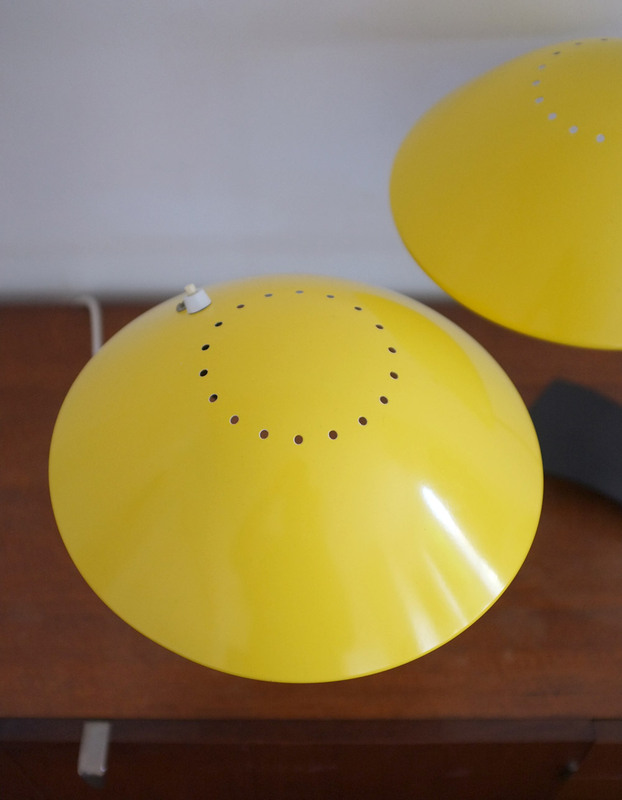 A pair of model 6840 lamps by Kaiser, Germany from the 1950s. 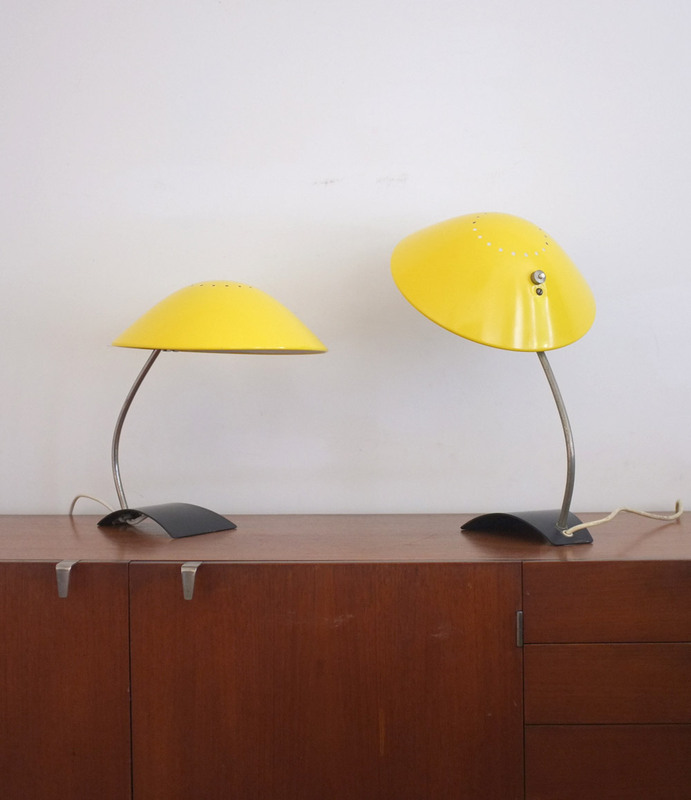 Nickel plated stem with ball and socket, dark grey base and beautiful yellow shades. 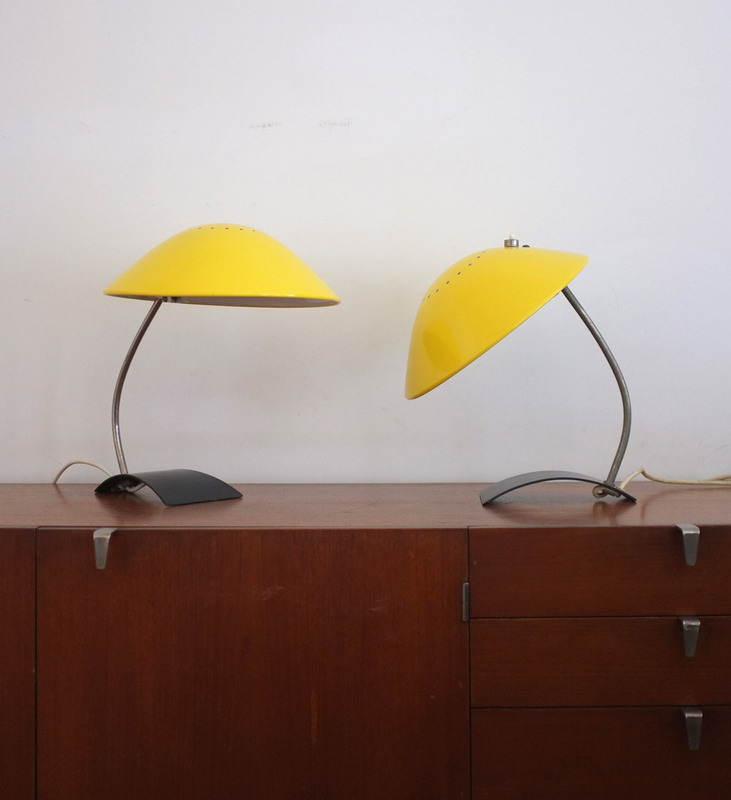 The lamps are in very good condition, the shades have been refurbished, the bases have some minor wear.